In 10-inch nonstick skillet, heat salsa and bell pepper over medium-high heat, stirring frequently, until warm. Stir in shrimp. Cook 3 to 4 minutes, turning shrimp occasionally, until shrimp are pink. 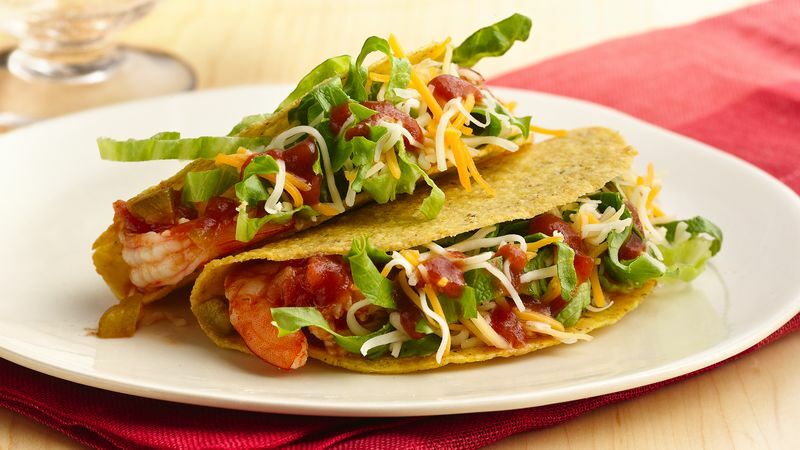 Fill each taco shell with about 1/4 cup shrimp mixture. Top with cheese, lettuce and taco sauce. Serve tacos immediately. If left to stand, the shells will become soggy. Any variety of cheese can be used.